Provides protection and support for the wrist during periods of activity. Useful in treating Repetitive Strain injury. Adjustable Velcro strap applies additional compression / support when needed. Suitable for use on left or right hand. 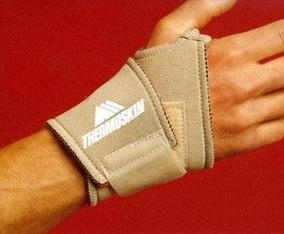 Thermoskin with Trioxin offers natural heat therapy and support for injury and pain.